The DM66 digital multimeter (DMM) from Extech combines a rich feature set, precise measurements, and quality construction to make an exceptional tool for anyone’s work bench, tool box, or shop. This digital multimeter is easy to use and built to last, offering long term stability for everyday use. 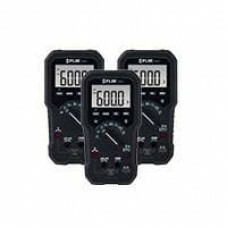 The DM66 offers the accuracy and range of measurement options you need, whether you’re a professional or just need the right tool for DIY projects. This is your high-end DMM that is capable of reading voltage ranges of up to 600V, resistance up to 6MOhms, and capacitance up to 200nF all with an accurancy of +/- 1% The DM66 even the added benefit of low impedance (LoZ) mode to prevent ghost voltage from delivering false readings. 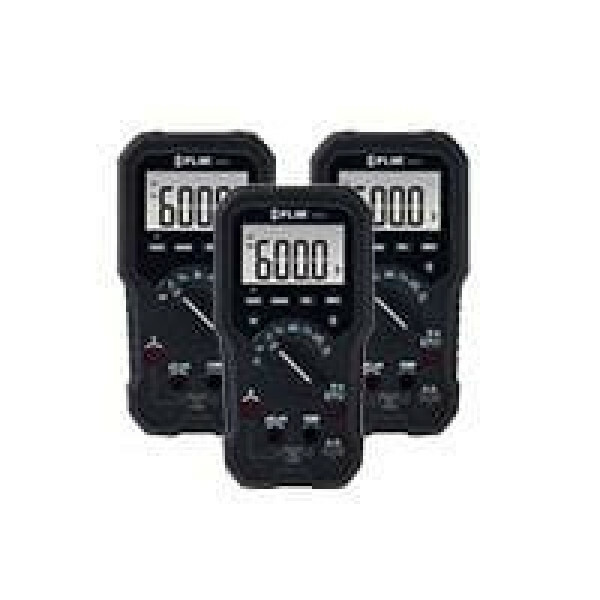 It measures everything you might need with a comprehensive feature set ideal for commercial electricians, automation field service, or electronics repair technicians. Note: Each order is for a single Multimeter. Two AAA-size batteries are required to power the Extech Multimeter and will need to be purchased separately.